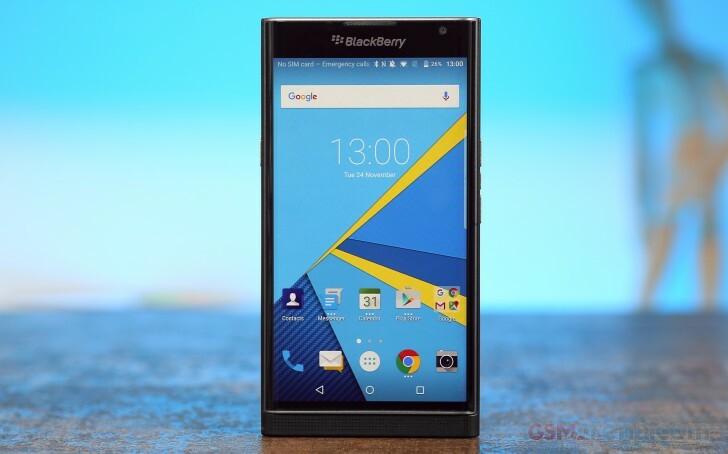 A curved screen QWERTY slider by BlackBerry that runs Android, are we getting this right? We double checked and the Priv is just as exciting as it is unique. Honestly, it is one of those things many may've fantasized about but nobody actually believed would happen. It's also probably the last chance for BlackBerry to try and turn things around. The BlackBerry Priv is a risky and costly venture - acknowledging the irony of saying that about a device, which is both superbly equipped and tightly secured. Hopefully, for BlackBerry's sake, the Priv will meet the expectations it set for itself and go down as a visionary, not an anomaly. Before we start exploring it though, we simply feel compelled to stop and let its marvelous ambivalence sink in. The Priv looks strikingly like a highly customized car. It is almost as if BlackBerry walked into the dealership and ticked every possible box, even some that are barely compatible, and then went on to request a completely different engine. And if that wasn't enough, BlackBerry then took it upon itself to fit its own security protocols so that the level of communication privacy matches its own high standards. 18MP 4896 x 3672 pixels phase detection autofocus camera with OIS, dual-tone LED flash, Schneider-Kreuznach optics, 2160p video recording. On the outside, the Priv is extremely attractive and instantly credible. Hardly a surprise though - the premium BlackBerries have always had it. Now, the entire concept of a BlackBerry/Android hybrid has some enormous potential but the very first of this breed is definitely not for everyone. There're many unknowns and there's the price tag to consider as well. To continue with the car analogy - the top specs, the level of security and the BlackBerry badge on the hood all add up to an eye-watering price tag of about €780 (perhaps a bit less in the US). That's what Apple's charging on the iPhone 6s, which we don't say it's fair, but last time we checked BlackBerry and Cupertino weren't exactly neck to neck in the ratings. There's nothing wrong with exclusivity and fewer devices can do better at that than the Priv, but we can understand every bit of skepticism as to how well this will work out in BlackBerry's current situation. It's exactly the less-than-the-stellar state of affairs though that makes one appreciate BlackBerry's courage. Even more so for the attempt to maintain its high security standards on an open-source platform. Now, Android inside doesn't make the Priv a mainstream device. It will still end up in mostly executive hands, plus a small group of true BlackBerry fans. It's a matching name by the way - officially, Priv stands for both privilege and privacy. Now Privacy has always been BlackBerry's core business. Security is up to scratch, as usual, but will BlackBerry convince enough people that it's a privilege as well? Let's see. Still a usable and viable option for someone looking for a affordable amd qwerty phone in 2018? my budget is limited so i can only choose between Key2 LE or this one. Need a qwerty phone with android os. no you can use any android app... but correct it does get hot, certainly mine does, and the supoprt from blackberry is poor.